The alternative to big five Life Insurance firms offer more personal service. 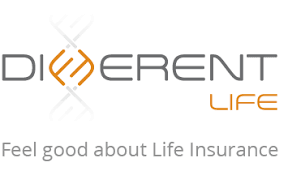 Is there an alternative to the big five Life Insurance companies? The big five Life insurance firms in this country are Old Mutual, Momentum, Liberty, Sanlam and Metropolitan. But is there an alternative to big five Life Insurance firms? Most people are a little bit like sheep – they tend to follow the crowd. They go for the big name firms that are more expensive, preferring “better the devil you know than the devil you don’t”. However, many don’t realise that lesser known firms can also be a very good option. Small insurers offer a much more personalised service than the larger companies. Like Different Life for instance. Different Life take the grudge out of buying insurance. Because, for most people in tough economic times, insurance is a grudge purchase. What Different Life aim to do is provide first class cover while also making a difference to your life. Because Old Mutual underwrites the policy your claims will get paid. When you claim, send an email to claims@differentlife.co.za or get hold of Different Life’s consultants on 010 020 1920. Being a service provider, Different Life sell insurance online or through their call centres. Critical illness – The insured person gets a payment when found to have a dread illness such as a stroke, cancer or heart attack. Life cover – Your spouse gets paid when you pass on. You can also tailor Life cover to your lifestyle. To find out how much cover you need, Different Life has an online calculator. Here you simply answer a few questions and get a quote based on your risk profile. Salary protection – The insured person gets a monthly payment once they become unable to work due to illness. Accidental products – If you don’t qualify for any of the products above, you can still have the option to buy the Accident-Only versions of them. You can buy all the products or you can add any of them to a policy you already have. Different Life likes to be able to personalise your cover for you. Sometimes it is worth giving the smaller firms a chance to prove themselves. Clients like the fact that Different Life offer no-nonsense quality with simple to understand plans. They offer cover that gets you through the trying times of your life. ← Can a person over 60 buy Life Insurance?